Over tightening a nut or bolt can land you with a high repair bill as it will deform bike parts; too little torque would mean the parts are loose. This is why a torque wrench is a handy tool for bikers as it is a tool used to tighten bolts to the correct level of tension. Finding the right torque wrench for your bike or mechanic shop might be a hassle, but it doesn’t have to be anymore with your comprehensive shopping guide below. You will find all the information you need to make the most suitable decision for your situation. This guide will offer you an insight into the best 10 Torque Wrenches so you know what to look out for from a torque wrench. Firstly, the size of the wrench. You might want to get a torque which would fit your grip nicely so it should not be too big or too small. At the same time, you should consider the size of projects you are working on whether very small or extensive. These considerations are crucial. Secondly, available head sizes. Check the head sizes you need for your bike. Some torque wrench comes in a kit with various heads. It is a good idea to purchase a package that comes with the most number of heads so you can avoid having to buy new heads in an emergency situation. Thirdly, the type of torque wrench. There are many different models that you can choose from. The most common ones are click-type, electronic, and beam torque wrenches. A click torque wrench makes a clicking noise to notify when you have the correct amount of torque applied to a fastener while an electronic torque wrench would make a louder noise. Lastly, a beam torque wrench would have an attached calibrated scale that moves when pressure is applied; via the indicator, you will be able to determine when proper torque is achieved. Lastly, the Build Material. Most torque wrenches are built with some plastic parts and mostly out of metal. You should try to find one with the least amount of plastic possible for a more comforting grip and durability. Landing on the tenth spot is Nordstrand Pro ¼-Inch Torque Wrench Square Drive Ratchet from Taiwan. 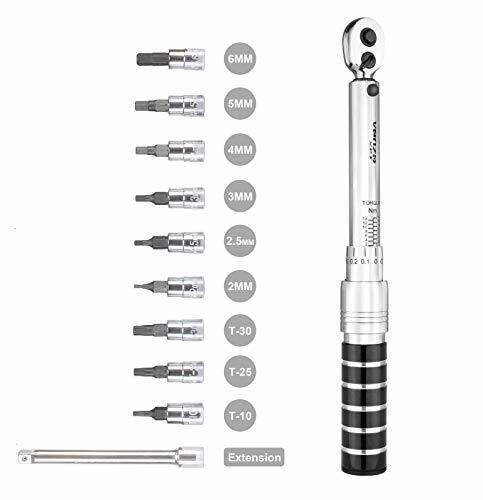 Essential for a professional and DIY car, motorbike and bicycle maintenance, as well as other workshop jobs, the Nordstrand Torque Wrench is a ¼-inches square drive ratchet torque wrench with a fully adjustable torque range of 2.26-22.6Nm (approximately 20-200-Inch/Pound). 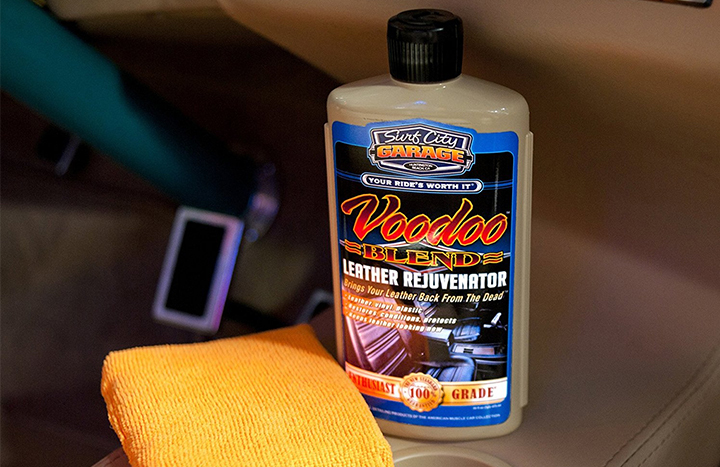 A knurled grip makes it easy to use in oily conditions, as well as in the dark or a blind spot. It’s suitable for use on vibrating machinery, too. With the Nordstrand Torque Wrench, torque is easy to set using the twist grip and micrometer barrel. Your chosen torque is locked in using the black knurled knob. A dual-scale wrench, the Nordstrand Torque Wrench has both the cm/kg and Nm scales engraved on the barrel. A conversion table provides further assistance. Adjustable in 0.1 increments with a ±4% accuracy, this Nordstrand wrench has a reversible ratchet head and provides reliable clockwise torque only. Nordstrand wrench is looking forward to helping you complete an excellent job. 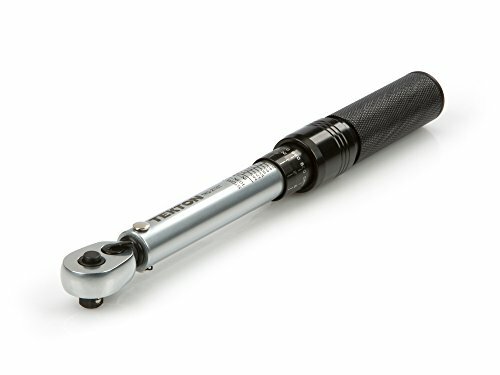 Calibrated to an accuracy of ±4% in the clockwise direction and +/ 6% in the counterclockwise direction, the TEKTON 1/4 inches Drive Click Torque Wrench lets you work with confidence, eliminating guessing and the common tendency to overtighten fasteners. Correctly tightening fasteners to a manufacturer’s torque specifications ensures parts are properly secured without being damaged. Simple and easy to use, this wrench measures torque in both clockwise and counterclockwise directions. When the preset torque value is reached, a reliable mechanical operation inside the handle produces a click you can hear and feel, alerting you to stop applying force. Built for consistent performance and years of dependable service, the mechanical design doesn’t need batteries, and the steel and aluminum construction has no internal plastic parts to wear out. TEKTON comes in a slim and lightweight compact zipper storage case which fits in any drawer or slides into your pack to go with you. Get this for the next bike trip! Too much tightening will deform bike parts; too little torque would mean the parts are loose. 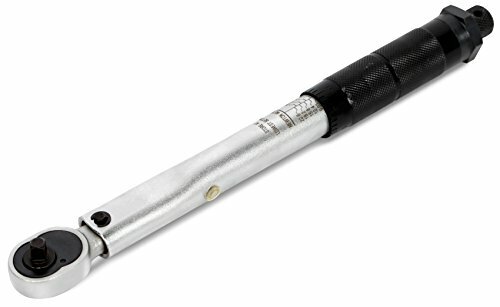 This is why the Bike torque wrench is a must-have tool for installing bolts and bike parts. This torque wrench is made from vanadium steel while bits are made from alloy steel to ensure durability. It features a click sensation which tells the preset torque value is reached so you can stop applying force to avoid over tightening. 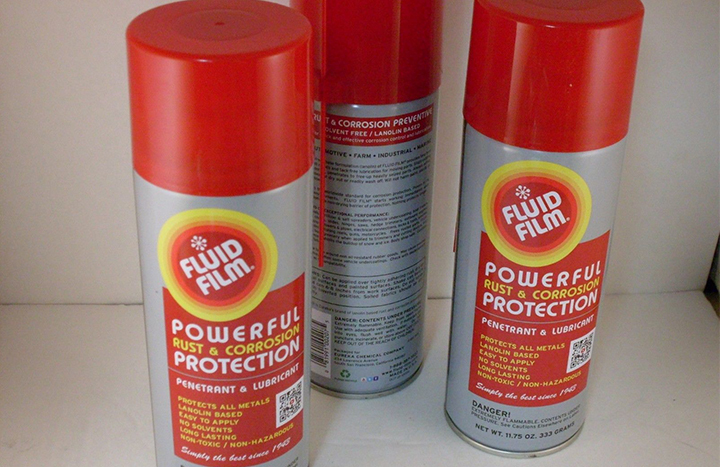 Featuring also industrial application, this can be used in mechanic shop or industry. It has a wide torque range of 2-24Nm. With accuracy of ±4%, you can reverse your tightening with your finely geared 72-tooth ratchet head. 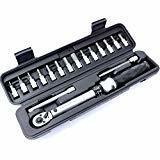 Moreover, the package include 9 common wrench socket bits besides the torque wrench so you have got all you need for your next bike trip. Get your tightening right with The Bike torque wrench! The Bike cares about your satisfaction: it guarantees 100% refund if you are not satisfied with your product. Have a lot more carbon on your bikes? You must be looking for a good torque wrench with a wide range of uses. This is for you. 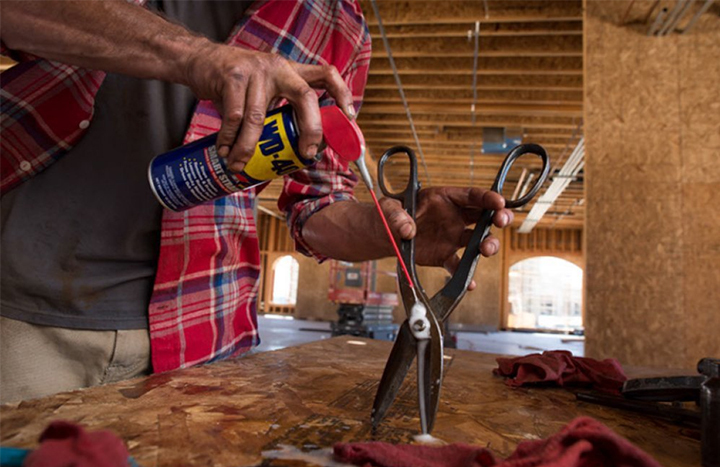 Torque with confidence with this diamond sure-grip DLC Shop Tool. It is made of lightweight impact resistant materials and constructed for a steady ergonomic hold Ultra smooth torque dialing. The torque wrench is fitted with lock and unlock adjustment for your convenience. The package includes bits set: H2, H2.5, H3, H4, H5, H6. H8, H10, T15, T20, T25, T30, Flat and Philips, 2 extension bar so you have got everything you ever need by your sides. The calibration is done by computer not factory workers to ensure highest possible accuracy for this torque wrench. Any tightening is fully reversible. For your safety, ABS Storage case is included to safely store your tool. IRONARM Torque Wrench Bike is an essential tool for this generation. IRONARM set comes with Gauge making it perfect for bicycle carbon parts because the gauge measures the amount of force you are applying to a fastener while tightening. The gauge also ensures that each component has an equal amount of tightness and is equipped with an easy-to-read display. The Torque wrench bike has range of 2-24 NM. Its T20, T25 and T30 Torques are perfect bicycle tools. The package also includes Allen Key set 3 /4 / 5 / 6 / 8 / 10 mm, plus 5mm long Allen Key for easy use. The Torque Wrench comes with a light protective coating of oil to protect and lubricate it; thus we recommend you wipe off the excess before use. 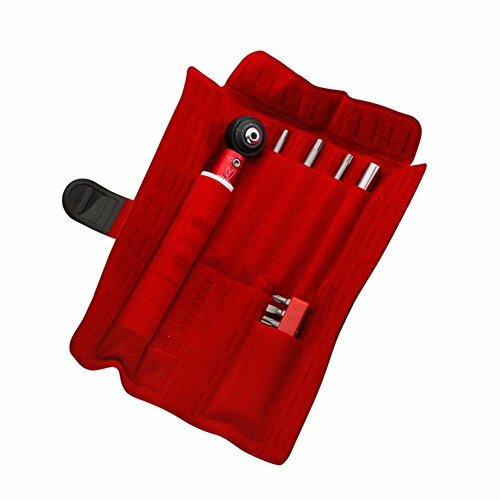 Get this high quality bicycle repair tool kit made in Taiwan before it runs out! From the top-quality products to their commitment to exemplary service, Pro Bike Tool is ready to give you the ultimate user experience to make your life easy. The ratchet set is a sleek and stylish solution for all your mechanical needs, delivering reliable and efficient performance time after time which is designed by its own highly experienced in-house design team. Not only it is reliable, it is built to last with Ergonomic stainless steel handle with reversible drive. 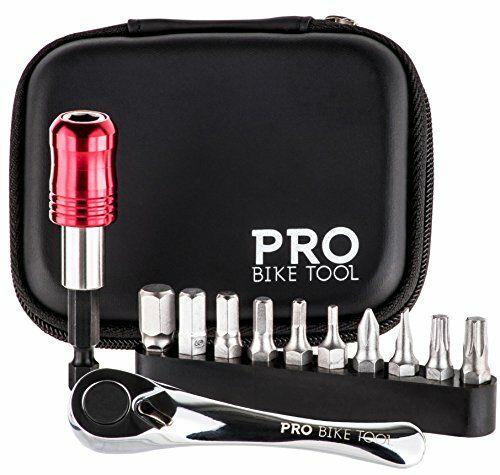 With Pro Bike Tool, you can easily and safely tighten bolts with Magnetic tool bit extender and 10 tool bits: 2mm/ 3mm/ 4mm /5mm /6mm /8mm /T25 /T30 /PH1 / SL4. 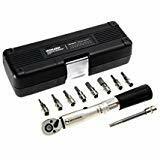 With 10 tool bits included, the set will cover nearly all tweaks, adjustments and installs on your bike, and will be just as useful around the home for any of your DIY needs. With its small size, you can have it in your saddle bag or back pocket. The package also includes a small handy storage case to keep the bike tool neatly stored away for your next road and mountain biking. Pro Bike Tool won’t let you down. Let it be your best friends, sitting right there in your jersey pocket or backpack. Ride with Pro, and love your ride. Torque specs are there for a reason, especially when you’re wrenching on a $12,000 carbon fiber masterpiece. Get the build right, and the bike will ride perfectly. Get it wrong and components will break in the shop or fall off on the road. 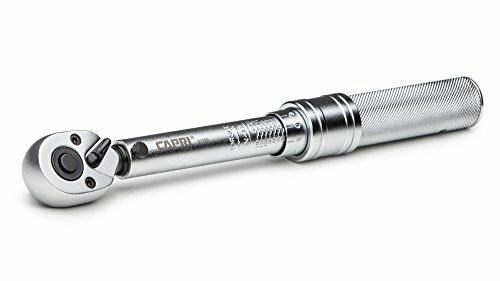 The Effetto Mariposa Giustaforza II 2-16 Pro Torque Wrench, made from aluminum in Italy, is the best tool for getting your build just right. When you’re done with the build, you can place it on the mantelpiece with your other works of fine art. The Effetto Mariposa Giustaforza II 2-16 Pro Torque Wrench is easier to use than it is to say. You just insert the appropriate bit and set the torque with the dial on the handle. When the correct torques are reached, the wrench produces a loud click and allows three degrees of free movement. Other included tools in this kit: [10x25mm] HEX2, HEX2.5, HEX3, HEX6, T10, T15, T20, T30, -3/16, +PH1, [3x100mm] HEX4, HEX5, T25, [1x100mm] extension. Get this well-made, solid, perfect Effetto Mariposa Giustaforza II tool for DIY home bicycle mechanics! Venzo understands the accuracy of the torque is very important, especially for those expensive carbon parts. All the torque wrenches are pre-calibrated in the factory. As one of the most accurate mechanical Torque Wrenches, it allows to preset up to 0. 1Nm, for example, preset 5.3 Nm. And it is the only torque wrench with a preset lock ring. Unlike others the presetting could be changed when turning the handle, the Venzo torque wrench comes with a lock ring to freeze the preset value. 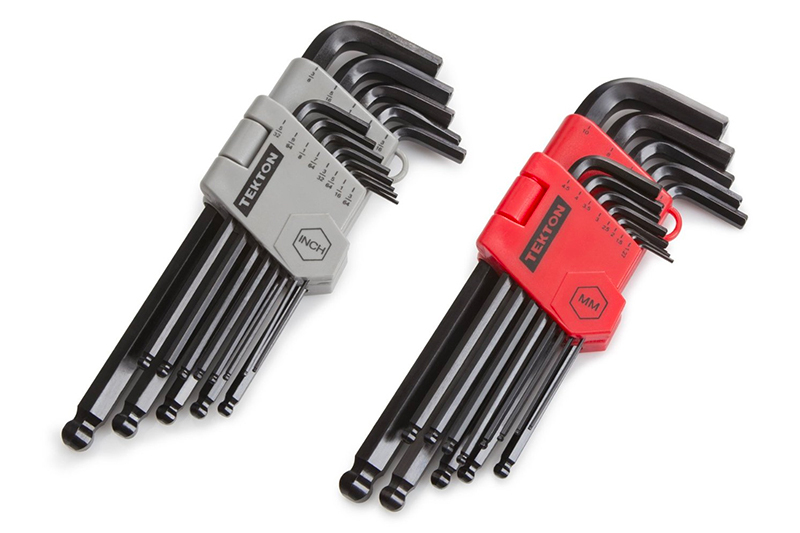 All the most common bits are included in the package for your convenience: Allen Keys 2 /2.5 / 3 / 4 / 5 / 6 mm, plus an Extension for easy use T10, T25, and T30. The best bit is the extension which allows reaching the bolts easily, such as seat post bolts. Enjoy a lifetime warranty with 8.5 inches long Venzo Torque Wrench! Landing on the top spot is BIKEHAND Bicycle Torque Wrench. It is a must-have tool for any non-professional biker out there. This 1/4” Torque Fix Set comes with Gauge which is a tool used to apply precisely a specific torque to a fastener such as a nut or a bolt and to ensure that each component of a fastener has an equal amount of tightness, making it perfect for bicycle carbon parts. Our top torque wrench features a wide Torque range of 2 to 24 Nm and high accuracy of ±45. The package consists of Allen Keys 3 /4 / 5 / 6 / 8 / 10 mm, plus 5mm Long Allen Key for easy use as well as T25 and T30 Torques. This high quality, made with care in Taiwan BIKEHAND Torque Wrench is packed in a hard case with all your necessary bits to make sure they stay in place. 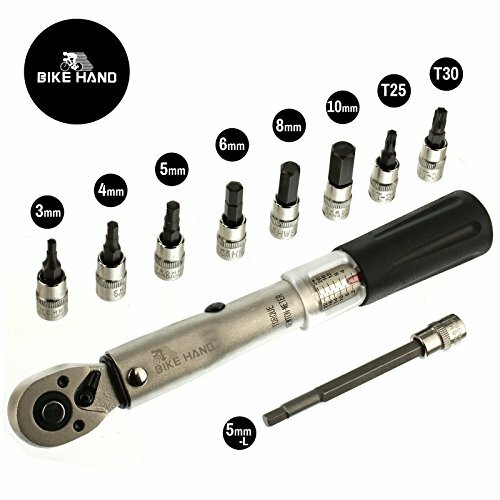 Ride with BIKEHAND Torque Wrench for a Better Journey. 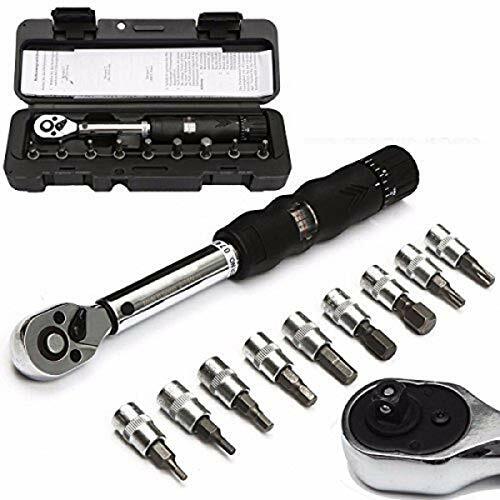 We hope you have found our Top 10 Best Torque Wrenches for Bicycles in 2019 Reviews helpful as a shopping guide for your torque wrench. You can now purchase one of these high-quality Torque Wrenches for quality and durability. 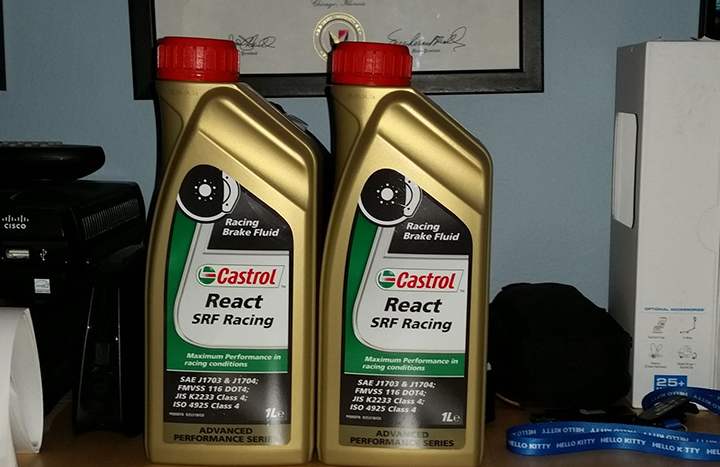 With one or more of these at home, you no longer have to make any trips to mechanical shops and this will save you a lot of money in the long run. 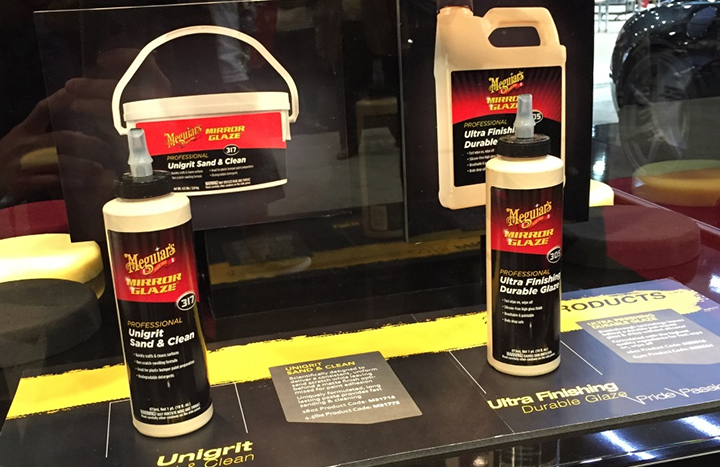 Not only your bike needs them, your biker friends need them for their next trip too. So why not get one for your next biking trip! It takes one Best Torque Wrench to save your day. Begin yours with these 10 Best Torque Wrenches for a smoother ride.